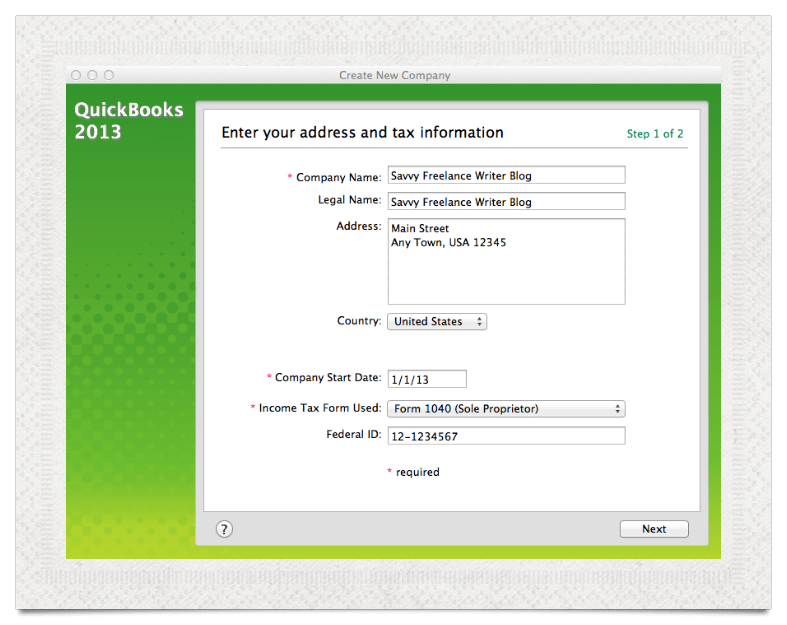 This Getting Started, Creating a Company and Chart of Accounts Post is the first in a series on QuickBooks for Writers. Ignore the first pop-up box and and click File – New Company on the Menu Bar. Now you have a pop-up box that says Create New Company. It will ask for the Company Name, the Legal Name. Usually these are the same. If you’re a sole proprietor and you call your business something else and have a dba account (you know who you are), use the dba for the Legal Name. Otherwise, just use the Company Name in both places. Enter your Address, Country, and the Start Date for your company. Income Tax Form for a sole proprietor is Form 1040 (Sole Proprietor) on this list. If you’re not sure what you need, leave it blank and continue. Federal ID is the ID you are using for your business. It’s either your SSN or the number you got for your company. Next you’ll need to create a chart of accounts. 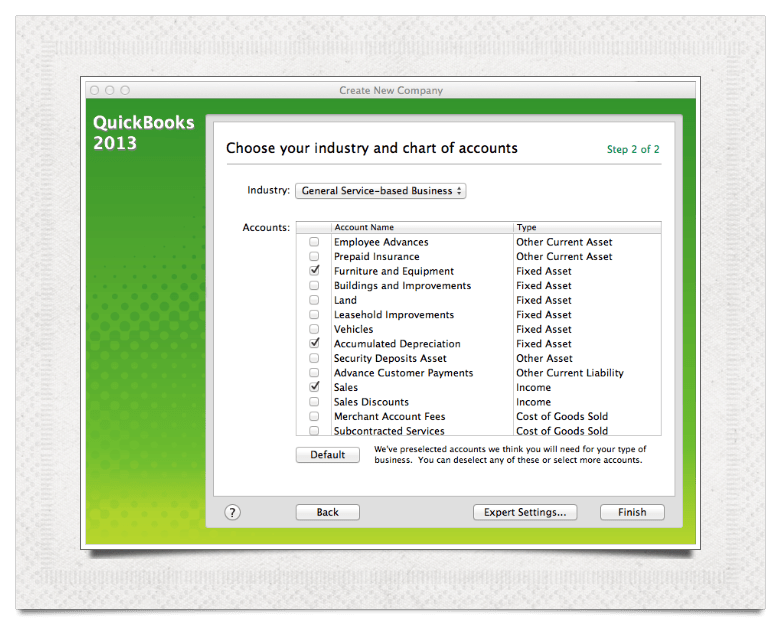 For your purposes, QuickBooks has several Industries for you to choose from. For a writing business, you can start with the General Service-based Business. There are accounts here for most of what you need. You may want to check Merchant Account Fees if you take payment by credit card or have direct deposit that charges a fee per transaction. If you’re not sure. Just use it as is until you have reason to add or delete additional accounts. This is a lot of information to digest. I’ve been walking small business through this process and using QuickBooks for my own business for years. I’m putting a form here for you to submit questions if you have any, so ask away! Categories: Accounting, Apps/Software, Blog, Money In/Out | Tags: Accounting software, Getting Started with Quickbooks, income tax form, internet, merchant account fees, QuickBooks for Writers, software, sole proprietor, writing | Permalink.